Edward C. Smith, DMD, MPH, LLC was founded in 2003 by Dr. Ed Smith with the vision of creating a dental practice that treats every patient with dignity and first-rate care in a home-like setting. The hygienists and certified dental assistants and office staff at our office are highly-trained and exceptionally friendly. We understand that for many, visiting a dentist can be a stressful experience. Our comfortable surroundings and compassionate dental professionals will ease your fears. Dr. Smith received his B.A. in History in 1994 from Auburn University. Prior to attending dental school, Dr. Smith studied at the University of Alabama at Birmingham, receiving a Master of Public Health, where his studies focused on Epidemiology. In May of 2001, Dr. Smith received his Doctorate of Dental Medicine from Nova Southeastern University’s College of Dental Medicine, where he was inducted into Alpha Omega dental fraternity. Dr. Smith has equipped his office to provide some of the best “high tech” tools available today. One of his favorite tools is his CEREC crown milling machine. The CEREC makes same-day permanent crown prep and delivery possible. If you've ever had a temporary, you know what a treat this technology is! Dr. Smith believes a combination of continuing education and personal development coupled with the latest technology available is the best way to make his patients’ experience and results the most optimal. 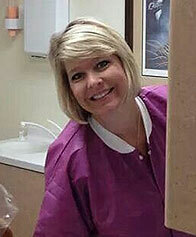 Dr. Smith was an Associate Clinical Instructor at Columbus Technical College’s Dental Hygiene school. He enjoyed teaching students within the hygiene school and also works with the Dental Assisting program as a host for interns each year. Dr. Smith is also a participating member of the American Dental Association and a former Board Member and Chair of Columbus Technical College’s Dental Hygiene program. He is also a member of the Georgia Dental Association, the Western District Dental Society, and the Academy of General Dentistry. 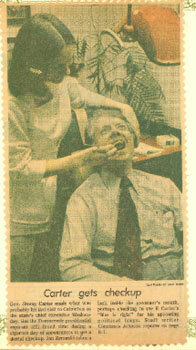 He is a past President of the Western District Dental Society. "Ed" Smith was raised as an army brat, living in various countries as well as regions of the United States. His first experiences with medicine came at a young age, with his father, who is a retired veterinarian. Dr. Smith tells stories of assisting his father with the anesthesia machine while his father performed surgery on household pets. Although Ed grew up “all over the world,” he is a southerner at heart, which made him decide to make a home for himself in Columbus where his parents grew up and his extended family still resides. Ed married his wife, Melanie in 2008. He enjoys spending time with their daughter, Benson. His favorite pursuits outside of dentistry are “outdoorsy” in nature. Hunting, fishing, kayaking, SCUBA and other various water sports are what he enjoys. 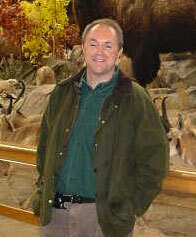 He jokes that his career goal is to retire and become a full-time outdoorsman and traveler. Melanie graduated from Clemson University in 2000. After spending a number of years moving around the country in the hotel sales and marketing field, she met Dr. Smith and moved to Columbus, GA in 2006. Shortly thereafter, Melanie started working in the office doing front desk and billing. After a few late night trips to the office with Dr. Smith to assist with after hours dental emergencies, Melanie was hooked! Melanie returned to school in 2008 and became a registered dental hygienist. newly involved in the Junior League of Columbus as a 2011 provisional member. Melanie plays USTA tennis and attends Stroller Strong Moms in her free time. 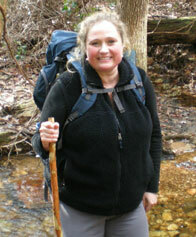 She loves to hike with her husband and friends during the cooler months. Melanie and Ed Smith are also known for their laid-back dinner parties. In the kitchen, the roles reverse and Dr. Smith is quite the assistant to Melanie! 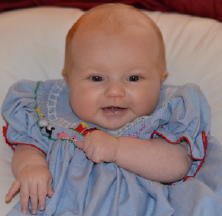 Melanie and Ed Smith have embarked on a new adventure with the birth of their daughter, Benson, in November 2011. Melanie is enjoying being a mom and is taking a break from her office duties. Jan has been a resident of Columbus since her father retired from the Army in 1958. She is the youngest of six children. Jan is a graduate of Pacelli High School. She holds a degree in Dental Hygiene (1974) as well as Bachelor of Science in Health Science (1994) AND a Master Degree of Public Administration (1998) from Columbus State University. Over the years Jan has worked for several dentists in Columbus and Macon, GA. She even had one celebrity patient that she helped clean up for the presidency! She was the director of the dental hygiene and dental assisting programs at Columbus Technical College for ten years prior to returning to what she loves best....Working in a dental office! Dr. Smith worked with Jan at Columbus Technical College and considers it a priveledge to have her on his team! Jan enjoys spending time with her friends and family, reading fiction novels. Sissy is an original Georgia Peach, born & raised in Columbus, Ga. She graduated from Hardaway High School & first started in the dental field as a Dental Assistant. Sissy began working for Dr. Smith in 2004 until 2006 when she was accepted into the Dental Hygiene program at Columbus Technical College. We were fortunate that Sissy rejoined our team in October 2013. GLAD TO HAVE HER BACK!!! 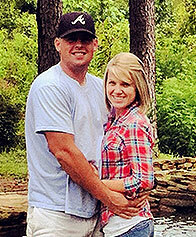 Chelsea was raised in Manchester, GA and moved to Columbus in 2012 after she married her high school sweetheart. She graduated from Columbus Technical College in December of 2013 and started working with us January 2014. Her husband is in the United States Army and they have three lab fur babies, Hershey, Tucker, and Jake. Chelsea enjoys hanging out with friends and family, outdoor activities, and going to the Braves and Falcons games!